BMW’s latest campaign for its certified pre-owned vehicles features only previously run creative. The old ads have been tweaked by AOR GS&P with a new voiceover from actor Chris Pine, but were originally created by the automaker’s previous agency, KBS. The idea is to use the same ads made for new BMWs years ago, now refurbished to sell the same model as certified pre-owned. The campaign aims to demonstrate how certified pre-owned BMW vehicles run like new, just like the reused ads. 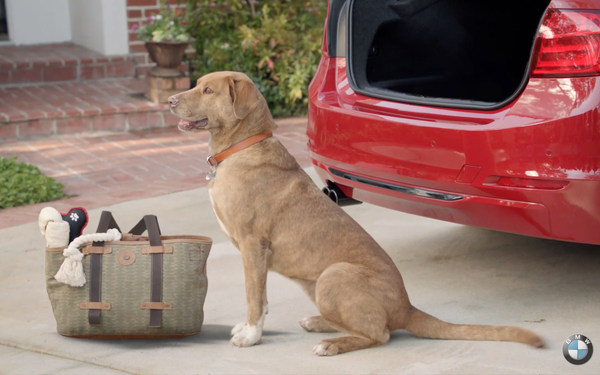 BMW has run marketing campaigns in support of its certified pre-owned program in the past, says Trudy Hardy, vice president of marketing, BMW of North America. There are six recycled TV spots: "Astronaut," "Handyman," 'Special Delivery, Part 1" and" Special Delivery, Part 2 — which is identical to Part 1, with the exception of the voiceover saying that BMW is running it again because the automaker saved so much money not making a new ad that it can afford to run it again, similar to the money consumers will save by buying pre-certified instead of new. The other two spots are "Dog" and "Mother-in-Law." To create the campaign, GS&P went through years of BMW commercials going back to 2013—since a five-year-old BMW Certified vehicle is the oldest one people can buy. The only thing that’s new is the branding of the pre-owned program, which has been renamed as BMW Certified, with the tagline “Like New Again.” In each voiceover by Chris Pine, the actor comments on the age of the spot or even how great his younger self sounds. Besides TV, the campaign includes radio, billboards and digital banners that were originally used to advertise the vehicles when new, between 2013 and 2018. GS&P won the account last May after a review in which KBS declined to participate.